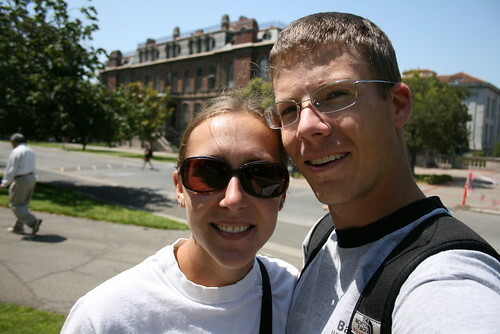 Today we finally had time to just take a walk around lunch time. It was nice out today again, in the high 60s and sunny. It was a bit hazy though because the smoke seems to be lurking around from all of the wild fires. Otherwise it would have been a completely cloud-free and clear day. 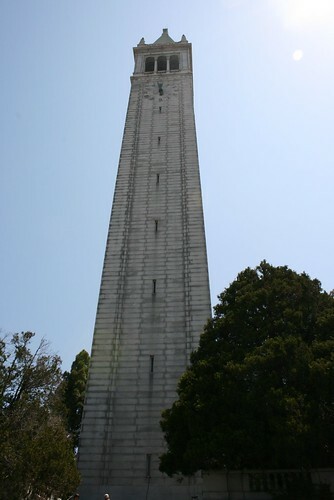 We went up the Campanile (Sather Tower) which is 20 stories tall, over 300ft. It was built in the early 1900s. 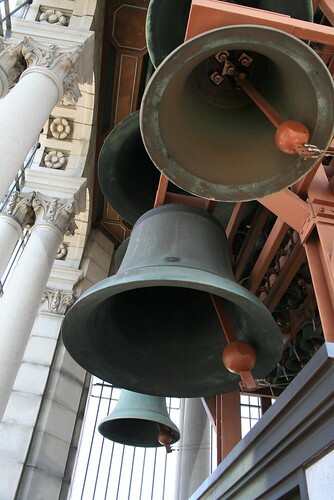 There are bells on the top which chime at every hour. 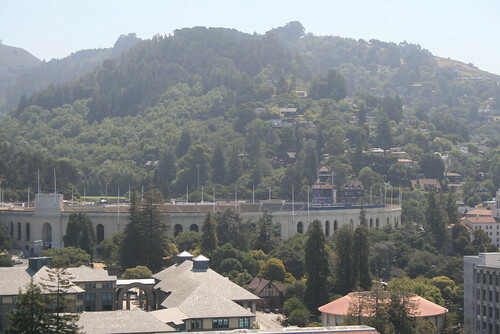 From the top of the tower, you can see all of the Berkeley campus, and all the way to the Golden Gate Bridge. You could even see the trees where the hippies are living in order to prevent the university from cutting them down! Next we went to get lunch and found some really good pizza. After sharing a whole 12" pizza, we were so full and lazy that we just couldn't walk anymore! So we found a place to stop. 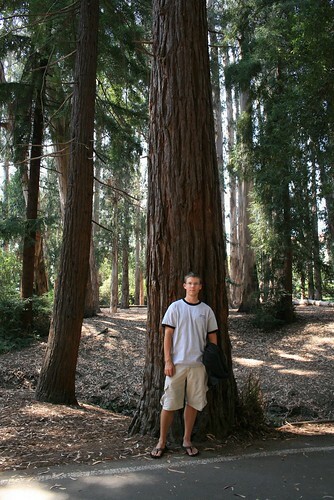 There is a big redwood forest on the west side of campus! It felt like you were really in the middle of a forest. It got cooler, and smelled like nature!